In the continuously expanding and contracting world of finance, fortunes are made by those able to spot markers ahead of everyone else, just like the men propelling the narrative in The Big Short. 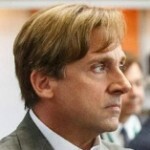 Co-written and directed by Adam McKay, and based on Michael Lewis’ non-fiction book about the meltdown in the housing market in 2008, the movie is a bittersweet tale that underscores how being on a huge payday trajectory can nevertheless leave a hole in both heart and conscience. The Big Short dumbs down nothing, insisting its audience rise up to the informational occasion, with definitions and analogies presented, in sketch segments, by Anthony Bourdain, Margot Robbie and Selena Gomez. And although we don’t exit the movie house armed with newly minted MBAs, we absorb enough of what’s said to appreciate the underbelly that was in full view, if only one knew how to direct one’s gaze. One of the guys who did the gazing was barefoot metal head and physician Dr. Michael Burry (Christian Bale), who runs a fund. Burry sets the ball rolling when, after scrutinizing hundreds of documents, he knows it’s just a matter of time before the housing market implodes. With a bottomless pit of money at his disposal, he visits a series of banking conglomerates to formalize his bets against that sector. 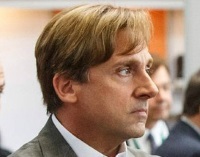 The root of the word “mortgage” means “dead pledge.” Manic and utterly engrossing The Big Short sharply resurrects and then skewers the “dead” part.